Former republican hunger striker Bernard Fox says he is deeply distressed by allegations that a deal which could have ended the strike was vetoed in order to maximise electoral support for Sinn Fein. The west Belfast man, who spent a total of 22 years in prison, was on hunger strike for 32 days when the protest was ended. Speaking to The Irish News Mr Fox said: “I was a close friend of Joe McDonnell. I was on active service with him on the outside, and later imprisoned with him. “Under those circumstances you get to know a person’s character very well. “Joe loved life and had no desire to die but he was determined and pragmatic and was not for settling for anything other than the five demands – that I can say for sure. “I wasn’t in the hospital at that time and I don’t know what the men were told or not told but I do know that there was no deal. “Offers, yes – there were plenty of offers. Having been interned twice the former IRA man was returned to the Maze prison as a convicted prisoner in 1977 and immediately joined the blanket protest, before volunteering for the Hunger Strike. He spent 32 days on hunger strike before the protest, which claimed the lives of seven IRA and three INLA prisoners, came to an end. “It took me 20 years before I could even speak openly about my experiences,” he said. “It’s still emotional and raw for me even now. These claims just add to that pain. “I can only imagine what it must be like for the families of the 10 lads. “Bik [McFarlane] was chosen to act as our OC [officer commanding]. It’s a job no-one envied – the pressure must have been unbearable. “Regardless of what I or anyone else may think about the political direction he has taken since, at the time we knew he wasn’t going to let us down. “To suggest that he in some way colluded with the outside leadership to let his comrades die is sickening to me and does not hold up to scrutiny. “After the first hunger strike we, [the prisoners] were very clear we wanted our demands in writing and delivered by a representative of the British government so there could be no reneging this time. “Look, I would never criticise any former blanketman. We all suffered equally and the comradeship we had at that time was the only thing that saw us through. “But try as I may I cannot understand where some people are coming from or why they would wait all these years to bring this out. In 1998 Fox was released from prison under the terms of the Good Friday Agreement. He has since parted company with Sinn Fein in disagreement over its political direction. “I have no personal or political agenda,” he said. “My only concern is for the families and how all this must be hurting them. Addressing calls for a public inquiry, he said: “I have no time for inquiries. What you need is not an inquiry but the truth and it would be naive to think the British will ever tell the truth. “If there are unanswered questions my advice would be to seek clarification. Adams did not tell Mr and Mrs Doherty – or their noble son – about the Mountain Climber offer. And the biggest question of all – why? to say there was a lot of opposition to that, especially from people north of the border who wouldn’t be that familiar with the ground in the south. autonomously without his knowledge and so rejected any deal without the knowledge of the full IRA army council. The mother of a Derry man who died on hunger strike says she fully supports the INLA's move away from violence. 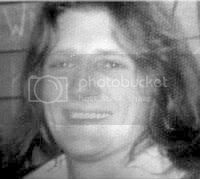 Peggy O'Hara, whose son Patsy, an INLA volunteer, died on hunger strike in Long Kesh in 1981, says she is happy with the move which was announced at the weekend. "I am happy with the announcement and happy that the political stance of the movement has not changed," she told the 'Journal' last night. "The main thing for me is that they still remain implacably opposed to the Good Friday Agreement and the notion of a British police force in Ireland. "I understand that it is only the tactics that have changed and that the political objectives remain the same as they were in 1981. "I give my full support to the republican socialist movement," she added. Mrs O'Hara has a long connection with the republican socialist movement and stood as an independent republican candidate in the Assembly elections in 2007 on an anti-PSNI ticket. She received more than 1,700 first preference votes but was not elected. Meanwhile, IRSP ard comhairle member Martin McMonagle says the families of INLA members who died during the Troubles were consulted before Sunday's announcement. "A series of talks have been going on for the last few years," he said. "Families were happy in 1998 when the ceasefire was announced and that has not changed," he added. Mr McMonagle insists the move is supported by the "vast majority" of republican socialists and ruled out any possibility of a split in the ranks of the INLA. "If people were unhappy, this initiative would not have happened," he said. "It was important for us to keep the movement intact." The children of Derry hunger striker Micky Devine have renewed their call to find out the truth about the circumstances that led to their father's death in Long Kesh in 1981. Michael Og and Lousie Devine have called on leading Belfast republican, Laurence McKeown, to explain comments he made in a recent interview when he said there was "nothing new" on offer from the British during the negotiation surrounding the hunger strike in 1981. The Devines are calling for an independent inquiry to be held into claims that a deal which could potentially have saved the lives of six of the hunger strikers was rejected by the IRA leadership, despite having been accepted by republican leaders within jail. The claim, which was made by a former blanketman, has been rejected by Sinn Féin and many leading republicans. Michael Og Devine said: "Our father was the last of the Hunger Strikers to die and all we ask from republicans is the truth. Due to all the contradictions, new evidence and the ever-changing shifting Sinn Fein narrative we feel that only an independent republican Inquiry can heal this festering sore that has erupted over what occurred during the Hunger Strike," he said. "Both Louise and I attended the Gasyard debate and listened to Brendan Duddy claim that the offer he wrote down and communicated to Martin McGuinness on the 5th July '81 contained four of the demands. He also stated that he believed this was a genuine offer from the British. "We would make this appeal to Laurence to tell us publicly exactly what did happen in the prison hospital and what exactly was my father told, if anything, that he felt he couldn't share with his family or his movement. We would also like to ask Laurence did he see a copy of the offer which Duddy gave to McGuinness who in turn gave it to Gerry Adams," he said. He confirmed to the meeting that the documents detailing the British statement as received through a Freedom of Information request was an accurate version -- apart from “one or two minor points” -- of the statement he was given by the British. But he stressed no written form was given to him at the time. So uncomfortable is this fact that most republicans tend to follow the Adams/Morrison narrative that Richard just wants to sell more books and so makes a sensationalist claim about dirty dealings between the Provisional leadership and the British government in order to increase sales.